When it comes to saving money, it pays to be aware of how much energy you are using in your home. October is Energy Awareness Month, a national effort to emphasize the importance energy efficiency. As the temperature chills, what better time to warm up to this idea. As you may or may not know, Massachusetts offers a Mass Save Home Energy Assessment,a no-cost assessment that includes a personalized report outlining recommended energy efficiency improvements in your home. They'll tell you how to stop money from flying out your windows or going down the drain - literally. Through this program you get free installation of cost-saving measures such as compact fluorescent light bulbs (CFLs), programmable thermostats, and water saving devices - for free. Did we mention it's free? 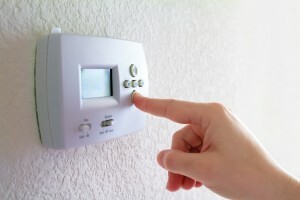 "Making your home more energy efficient is one of the best ways to impact the bottom line costs of maintaining a home. The fact that the Mass Save Program is free and easy makes it a no-brainer." To put it in perspective, this chart from Energy.gov show how much we consume as a state. For example, the average Massachusetts consumer uses enough energy annually to send Marty from Back to the Future 105 times! So that's way more than 1.21 gigawatts! Be sure to check out the Mass Save Program for your home this October - just a little effort can save you a lot of energy in the long run.